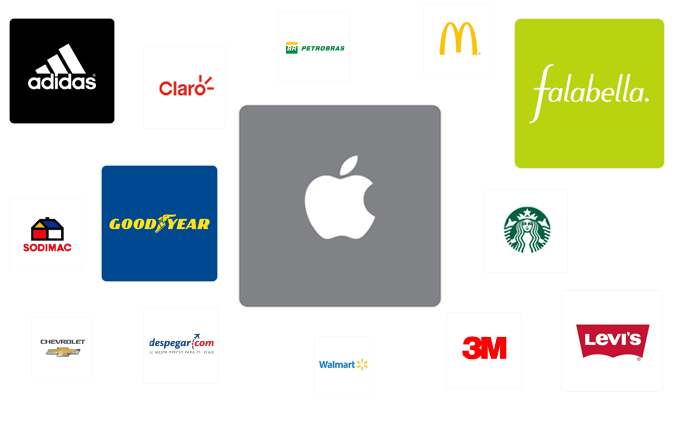 The largest discount network for employees in Latin America, with thousands of exclusive offers from amazing brands. 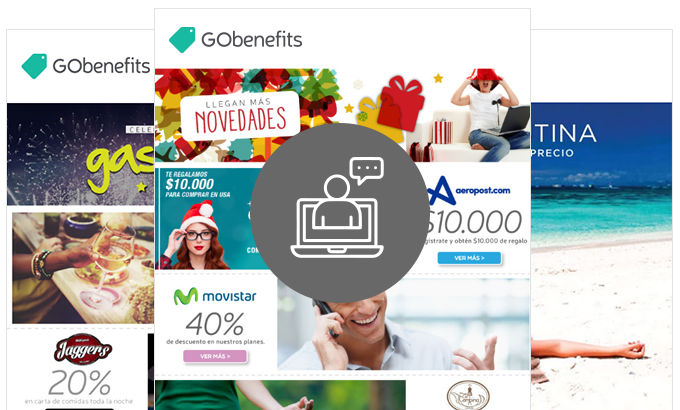 How can GObenefits help you? Hundreds of discounts available in your country and thousands in Latin America to cover the interests and needs of all your employees. 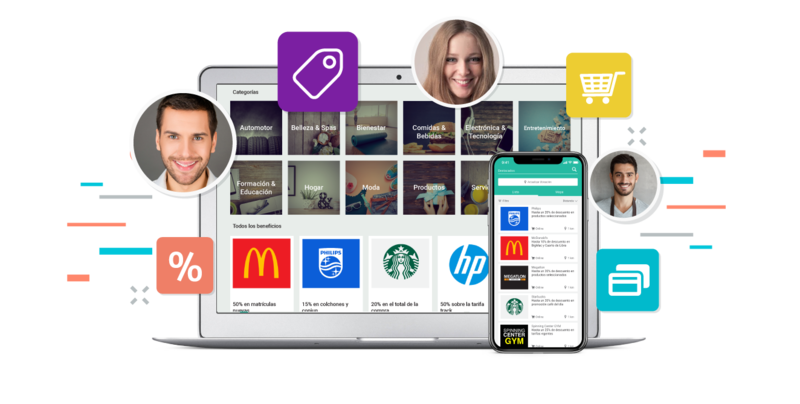 A digital and mobile benefits experience without having to deal with administrative tasks, thus freeing up time for the strategic benefits management. 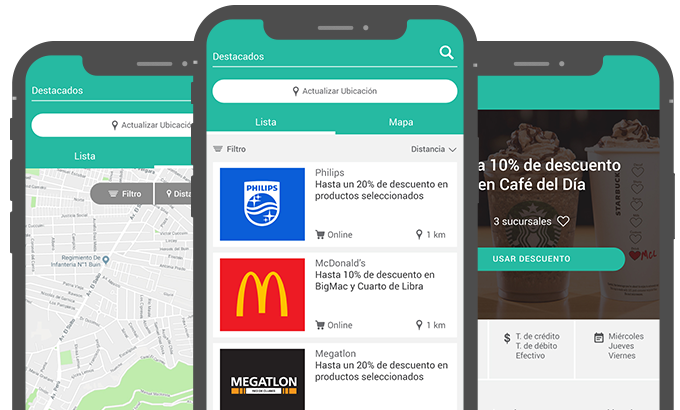 Allows the use of benefits at any time and place by accessing the offers by current location and proximity to the employee. 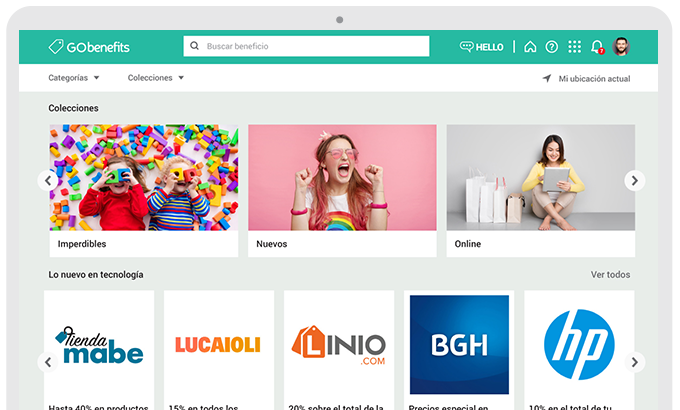 GObenefits offers the widest network of exclusive benefits for employees and their family group, made up of recognized regional and local brands in more than 20 categories. We develop all the actions required to maintain the dynamics of the program, updating the agreements monthly and developing promotions for special dates throughout the year. The product communicates to collaborators the novelties of the discount network, promoting its knowledge and use throughout the year. 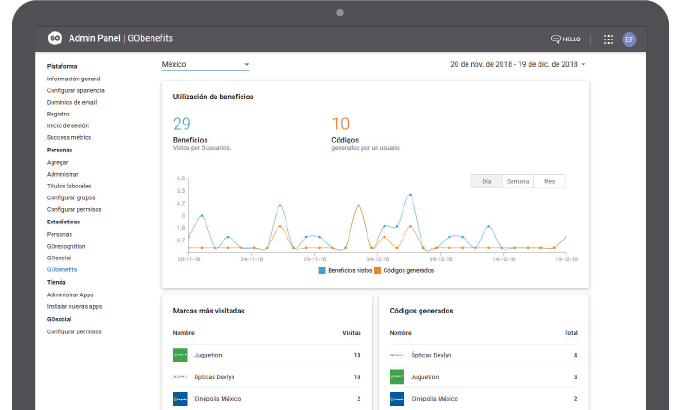 The analytics panel allows you to visualize employees most valued discounts and the intention of use, delivering a powerful tool to optimize the value offer and adapt it to their expectations. Adding value to the benefits strategy, increasing the perception of total compensation by employees. Communicating benefits effectively to all company segments, according to their personal interests. Boosting internal initiatives related to health, education, and the general welfare of employees. Freeing the team to focus their efforts on the definition and strategic monitoring of the program.